Enamored by Wi-Fi’s convenience, we tend to be blind to its risks. Many routers are riddled with security holes that leave your data exposed to enterprising hackers and other intruders. And if you run a business, the jeopardy is even greater. To keep your wireless network secure, follow these eight security tips. The unidirectional nature of Wi-Fi signals necessitates the use of encryption to prevent neighbors or malicious parties from spying on your online activities. Even though the option is still available for legacy reasons, avoid WEP encryption, as it can be cracked in minutes. Use only WPA2, which introduces a new AES-based encryption for better security over WPA. There's really no excuse not to: Today every Wi-Fi router bearing the Wi-Fi trademark supports it, as does every wireless device and Wi-Fi adapter card made in the past few years. Despite the lack of known weaknesses in WPA2, it remains susceptible to brute-force attacks when used with an easily guessed passphrase. Specialized software makes it trivial for attackers to process captured wireless data packets against huge dictionary lists to obtain a match. To foil such attacks, use a passphrase containing at least 25 characters including a mix of letters (upper-and lowercase), numerals, and symbols. One common tip is to not broadcast the SSID (Service Set Identification) of your wireless network. While it could be used to throw off novice attempts at breaking in, hiding the SSID is useless against a half-competent hacker. But it's good practice to not use the default SSID, or any common names (go.pcworld.com/ ssid names). 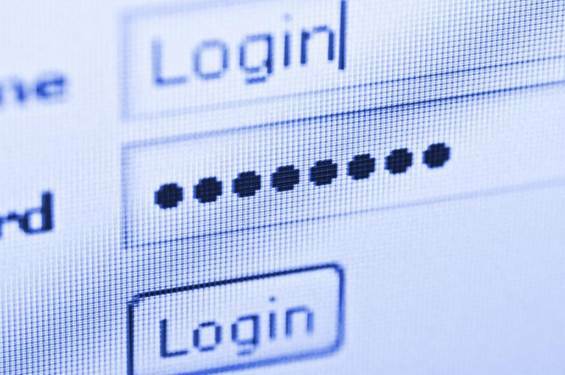 Hackers have developed pre-computed tables of password hashes known as "rainbow tables" to find the WPA passphrase quickly. Because these tables are keyed to individual SSIDs, using an SSID that is not on such a table or list would force an attacker to adopt a more time-consuming approach without the benefit of a ready-to-use rainbow table. If your Wi-Fi router supports Wi-Fi Protected Setup (WPS), disable it. Created as a user-friendly way for users to add new devices to their network, the WPS PIN is an 8-digit number printed on the label of WPS-enabled devices. Depending on vendor implementation, however, this is likely to be susceptible to brute-force attacks. An attacker can crack the PIN code of a vulnerable device in between four to ten hours (go.pcworld.com/reaver) of automated effort, which would allow the attacker to recover your secret pass phrase and make changes to your Wi-Fi hardware. WPS makes it easier to add a device to your network, but it also makes your network more vulnerable. It would be bad form to deny friends and relatives access to your Wi-Fi network when they're visiting. But circulating the static passphrase to everyone is bad security. Instead, set up a separate wireless network under a second SSID, a feature supported by an increasing number of wireless routers. Having a separate network for guests allows you to routinely change the passphrase without affecting your own devices. You can even disable it entirely when not in use. 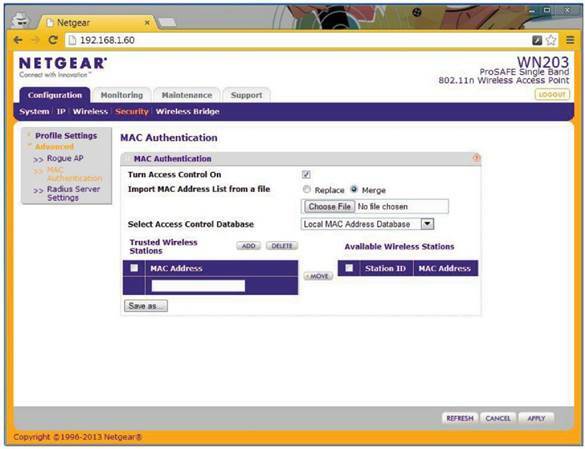 The MAC (media access control) address is a unique identifier hardcoded to individual Ethernet ports and Wi-Fi devices. However, its actual effectiveness is dubious, since it's trivial to spoof a MAC address. Unless you know what you're doing, we would advise against MAC address filtering, given the inconvenience and hassle that can result from a misconfiguration. And having to manually add every single tablet or smartphone that you acquire is a productivity downer. An access point may let you filter out unauthorized MAC addresses, but see tip 7. You may not be able to keep a determined hacker out, but you don't have to make his job easier. Disallowing administrative access from the wireless network should keep any successful hacker from wreaking further havoc by making changes to the configuration of your Wi-Fi router. Obviously, this means that any tweaks to your Wi-Fi router would have to be done from a desktop or laptop on your wired local area network. But the added protection is worth the hassle. The tips here aren't meant to exhaustively coverall possible security risks of a Wi-Fi network, but adhering to these eight tips should make you significantly safer. Ultimately, though, if security is paramount, sticking to a wired Ethernet network may be your best bet.